The majority of Americans support net neutrality protections. Based on the comments in the most recent Congressional hearing on net neutrality, you could come away with the idea that most of Congress and most of the giant Internet Service Providers do, too. But if you read between the lines, what we really heard today was a definition of net neutrality designed to leave loopholes for companies to slither through. When we talk about net neutrality protections, we often talk about the explicit bans on blocking, throttling, and paid prioritization. Those three terms got a lot of play at the hearing in the House. But net neutrality is not just those three things. Even in trying to define net neutrality this way, people on the side of ISPs like Comcast, AT&T, and Verizon can’t give up the dream of paid prioritization. Once again, the industry trotted out the myth that a ban on paid prioritization prevents ISPs from giving special treatment to first responders or telemedicine. Joseph Franell of Eastern Oregon Telecom said that if he was in an accident, he would want his medical treatment given priority as Internet traffic, which the 2015 rules absolutely allowed. What they banned was prioritization for the purposes of making money, not for public safety or for specialized services. 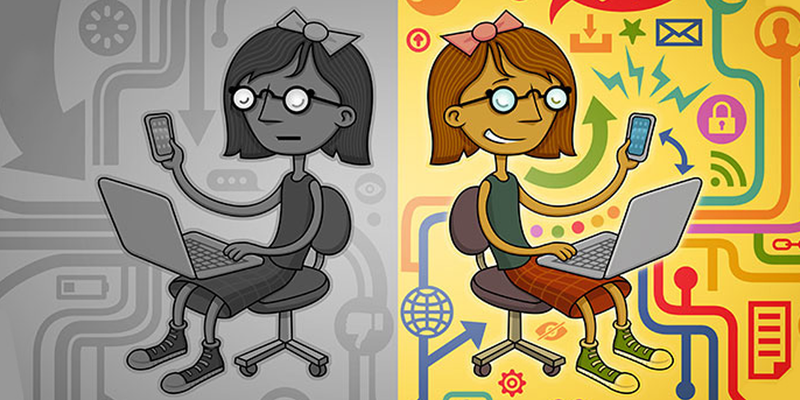 Net neutrality is the principle that all Internet service providers (ISPs) should treat all traffic coming over their networks without discrimination. Violations of that principle include, but are not limited to, blocking, throttling, and paid prioritization. The value of the FCC’s 2015 Open Internet Order was not just in the banning of those specific practices, but also in giving the FCC ability to investigate actions that violate net neutrality but don't fall neatly into one of those three buckets. Threats to public safety, for example, don’t necessarily present as clear cases of blocking, throttling, or paid prioritization. The case of Verizon throttling California firefighters during a wildfire might have not met the definition of throttling in the 2015 Order, but the FCC under Pai has likely given up the authority to investigate what happened there. Public safety is tied to net neutrality, as Congressman Jerry McNerney of California noted when he said that during disasters, people go online to “check evacuation routes, see if their loved ones are safe, and find out if it’s even safe to breathe outside.” And if ISPs have made deals and decisions to make it faster to get to places with wrong or unhelpful information, that is a problem. Interconnection points—places where two different networks exchange information with each other—are another place where we know ISPs can get around simple bans on just blocking, throttling, and paid prioritization. That is to say that while the bans prevent things occurring on a network, they do not stop providers from charging extra when content enters their network at the connection point, which is paying to get access to customers on the other network. That’s why California’s S.B. 822, written to replicate the whole protections of the 2015 Open Internet Order and not just these three bans, includes prohibitions on doing that. Discriminatory zero-rating—the practice of exempting certain types of traffic from counting against a data cap (often under an agreement between the ISP and web platform)—is another area that can fall outside these three bans. Not only has zero rating been shown to be harmful to low-income broadband users, but it raises the cost of data for all users. Another claim made constantly was that net neutrality and the 2015 Open Internet Order made it difficult for ISPs to invest in Internet for rural and other underserved communities. It was included in cable lobby head Michael Powell’s written testimony as the statement that the 2015 order had “depressing effects on the market” and Farnell’s testimony that he has more offers to invest since the repeal. But it’s simply not true that net neutrality really hurt rural investment. We know from the mouths of ISPs, when talking to their own investors, that the order didn’t affect their planned investment at all. Besides, the challenges to investment have to do with physical barriers, not protections for consumers: now that the net neutrality rules no longer applies to them, they have still not deployed in rural markets. Net neutrality is a principle. It is not just a set of rules against specific discriminatory practices. Treating all Internet traffic equally is why we have the modern Internet. It’s not a new idea, but it’s in danger today.